KSCO-2006 was a track within the IEEE 2006 Workshop on Distributed Intelligent Systems (DIS-2006) "Collective Intelligence and its Applications" on June 15-16, 2006 in Prague, Czech Republic. KSCO-2006 covered coalition operation management, knowledge representation and reasoning, planning and multi-agent systems applied to coalition formation, collaborative coalition action planning, trust building, security aspects. The KSCO series of conferences and publications exists in order to exchange experience and ideas, share inspiration and suggest novel concepts. Pechoucek, M., Bradshaw, J. Suri, N. and Tate, A. 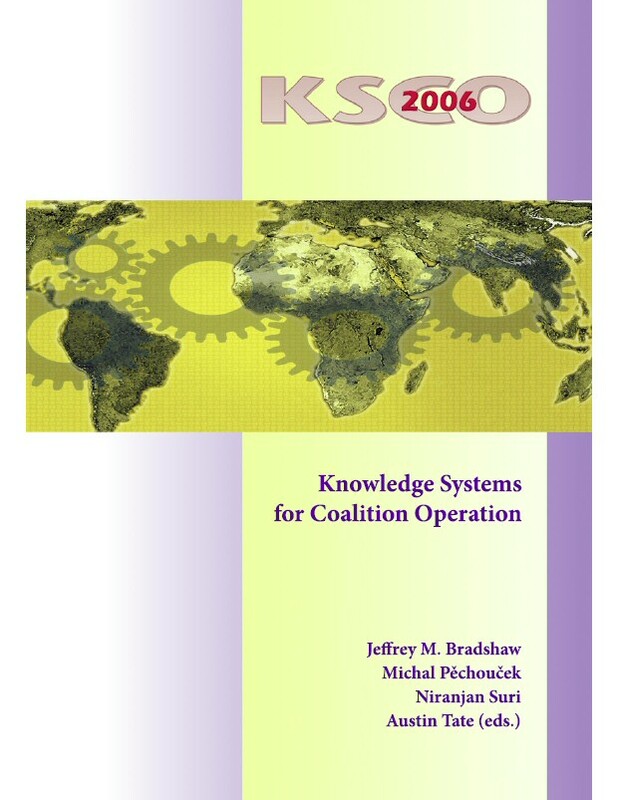 (2006) Knowledge Systems and Coalition Operations 2006, Track C in the Proceedings of the 2006 IEEE Workshop on Distributed Intelligent Systems (DIS-2006), (eds. Marik, V., Gruver, W.A., Pechoucek, M. and Preucil, L.) pp. 253-258, Prague, Czech Republic, June 2006, IEEE Computer Society. 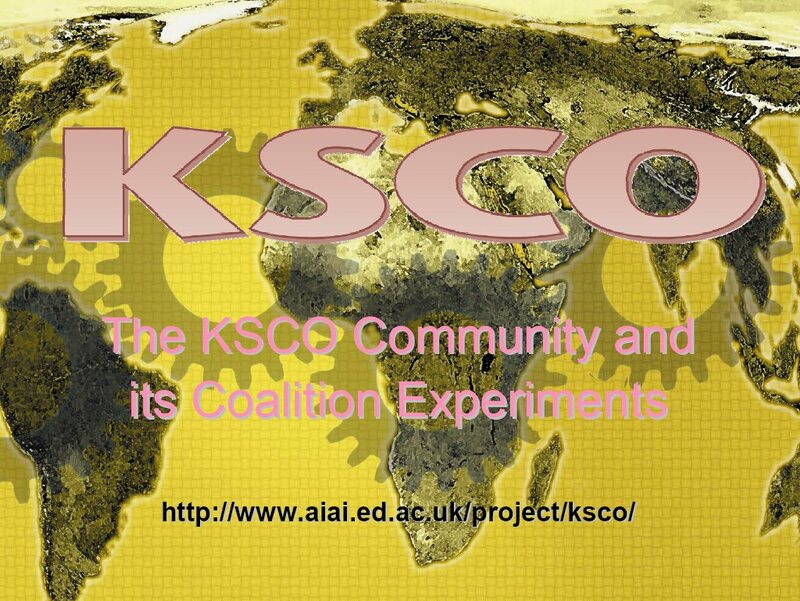 Invited Talk on the KSCO Community and its Coalition Experiments at IEEE DIS-2006 by Austin Tate 16th June 2006. KSCO logo by Toni VanBuskirk <vbdesigns@earthlink.net> courtesy of IEEE Intelligent Systems Magazine.